I know it's not big, only 3.0, but interesting to note that the location follows S0's watch I identified in the above post. Let's hope things don't escalate in the area. They've downgraded the second one to a 6.0. 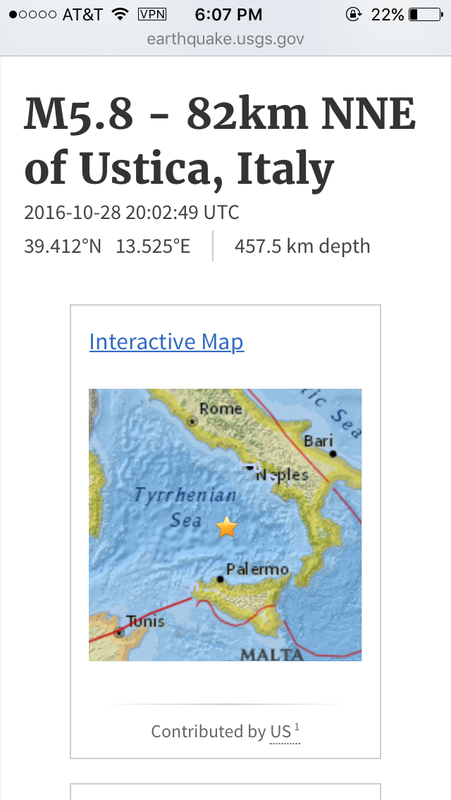 And now Italy is reverberating with aftershocks. This is also the same place where Italy had the deadly quake in August. An 6.4-magnitude earthquake hit the Marche region in central Italy, just hours after a 5.4-magnitude temblor damaged buildings and cut power lines across the area. Buildings across the region have been damaged, but so far, there have been no reports of fatalities. The first earthquake was detected at 7:11pm local time, about 66km to the southeast of Perugia, striking a mountainous part of the Marche region and lasting several seconds. Within an hour of the earthquake, there was a series of small but noticeable aftershocks, ranging in magnitude from 2.5 to 2.8. Is anyone but me starting to wonder if we're coming to the point, like the entity said, where they start telling the Pope to leave Rome? I'm not sure if this one is in an unusual place. 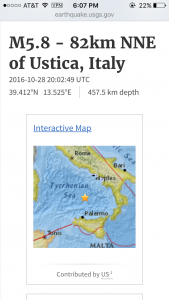 The 6.6-magnitude quake - Italy's strongest in decades - struck close to the region where nearly 300 people were killed by a quake in August. This time no-one appears to have died, but about 20 people were injured. The medieval basilica of St Benedict in Norcia, the town closest to the epicentre, was among buildings destroyed. An evacuation of buildings in the region deemed vulnerable to seismic activity last week, following strong aftershocks from August's quake, may have saved lives. Tremors from this latest earthquake were felt in the capital Rome, where the Metro system was shut down, and as far away as Venice in the north. The quake struck some 2km west of Cushing at a depth of just 5km, US Geological Survey reported, revising the magnitude from 5.3 to 5.0. 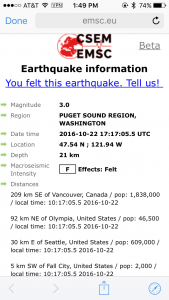 Despite being a moderate tremor on the Richter scale, the shallow quake resulted in several buildings partly collapsing, also causing a power outage. Here's the Quake Prediction Results for 2016! A 6.2 magnitude earthquake has struck off the coast of the Japanese island of Honshu, USGS reports. TEPCO said it is checking the integrity of its crippled nuclear plant, as the epicenter was located relatively close to Fukushima Prefecture. The quake struck around 9:43pm GMT on Friday, some 65 km east-northeast of the city of Sendai. The Japan Meteorological Agency measured the quake at the lower magnitude of 5.8. A tsunami has hit after an earthquake struck New Zealand's South Island. The US Geological Survey said the magnitude-7.8 quake hit just after midnight (11:02 GMT on Sunday), some 95km (59 miles) from Christchurch. The tsunami arrived in the north-eastern coast about two hours later. Officials said the first waves may not be the largest, with tsunami activity possible for several hours. Residents were warned to head inland or for higher ground along the coast. A gauge at Kaikoura, 181 km (112 miles) north of Christchurch, measured a wave of 2.5m (8ft 2ins), according toWeatherwatch.co.nz. But the ministry of civil defence has said the highest waves, which could be as tall as 5m are expected between Malborough, the north-eastern tip of the South Island, and Banks Peninsula, just south of Christchurch. Residents in the Chatham Islands, an archipelago 423 miles (680km) south-east of the mainland, were also being warned a wave would hit imminently by the civil defence. Thousands of people have already evacuated their homes as aftershocks continue to hit the area, Radio New Zealand reported. New Zealand is still having aftershocks at M5+. Another one just now for NZ. "Incredible footage filmed during the New Zealand earthquake shows the night sky lighting up with bright colours. Quick-thinking New Zealanders managed to film the scene in Wellington while the powerful 7.8 magnitude earthquake struck near Christchurch. Their clips show flashes of green, white and blue in the sky over a span of a few seconds. Zachary Bell said he filmed a video at ‘the peak of the shaking’, noting that ‘the sky began to light up with colours’ over the sea. Another video posted on Instagram shows clear, bright flashes of light during the earthquake that killed two people and led to tsunamis. Are Microwave Transmission Weapons Of Mass Destruction Being Used To Trigger Catastrophic Earthquakes? We're working very hard … this is looking quite complex. 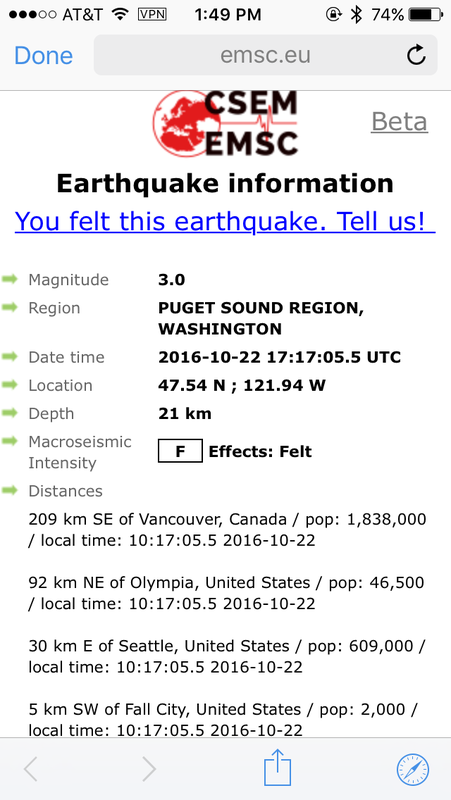 The epicenter was possibly just south of the Hope fault, but it did look like "something else was going on. The seismologist statements are only the beginning, there are many more concerning factors surrounding the latest New Zealand Earthquake that should be considered. In spite of the unfolding US election circumstances, in the days before the latest New Zealand quake John Kerry first went to Christchurch, and then on to McMurdo Station, Antarctica. The stated purpose of Kerry's visit was to examine the effects of global warming and the record low sea ice, but this trip at this time was criticized by some. ...Antarctica has just broken a new climate record, with record low winter sea ice. After a peak of 18.5 million square kilometers in late August, sea ice began retreating about a month ahead of schedule and has been setting daily low records through most of September. Though Antarctic sea ice (and global sea ice) are at record shattering low levels, why else might John Kerry go to McMurdo Station at this exact window of time? Could the ionosphere heater (microwave transmission) facility that is constructed at McMurdo be a factor? ... Kerry returned to Christchurch from Antarctica, and then promptly (and conveniently) departed only hours before the catastrophic earthquake struck. The statement below is from CBS news. Sec. John Kerry had left the country before it struck, and just landed in Singapore on his way to Oman when news of the quake was reported. Is it just a coincidence that US officials always seem to safely depart quake impact zones just prior to the event? Another point of interest, New Zealanders protested against US Oil exploration continued right up to the day before the quake. Then there was the conflict in New Zealand over the visit of a US warship, this story was covered the day before the quake hit. The New Zealand Prime Minister's apparent apprehension about the US election results just days prior to the quake are also of interest. Finally, could known massive oil deposits just off the New Zealand coast also be a part of the equation? 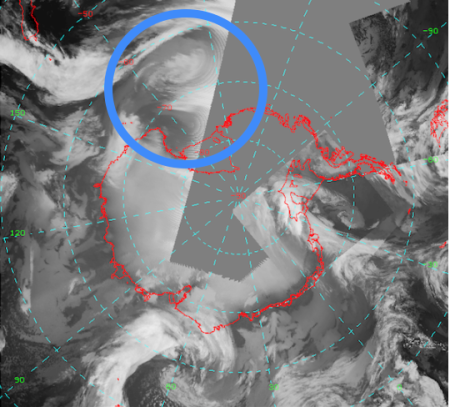 Microwave transmission signals/rings near Antarctica are clearly visible in the satellite composite image shown below. 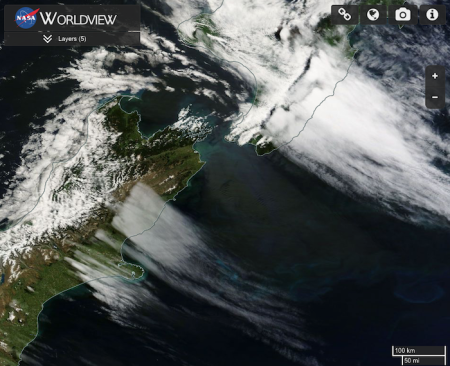 The regions of New Zealand near the epicenter have been constantly assaulted with aerosols spraying and microwave transmissions. "The magnitude 7.8 earthquake that tore through New Zealand on Monday was so powerful, it dragged the sea floor 2 metres above the ground, causing it to explode though the sand and reveal its strange, lumpy exterior. It all happened so fast, the exposed sea bed was still crawling in sea life when locals discovered their newly remodelled coastline, and scientists have never seen anything like it. "I’ve never seen it before during an earthquake and it’s the first time we’ve seen something like this," marine geologist Joshu Mountjoy from New Zealand’s National Institute of Water and Atmospheric Research told Stuff. "It will take a while before this becomes normal again." Pacific Plate Suddenly Rises 6 Feet in Seconds! 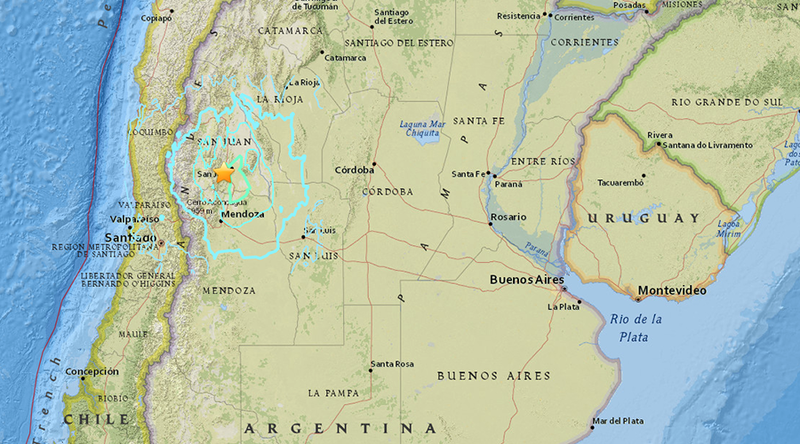 A 6.4-magnitude earthquake has hit western Argentina in the province of San Juan, the US Geological Survey reports. The quake was felt across the border in the neighboring country of Chile, eyewitnesses reported on Twitter. 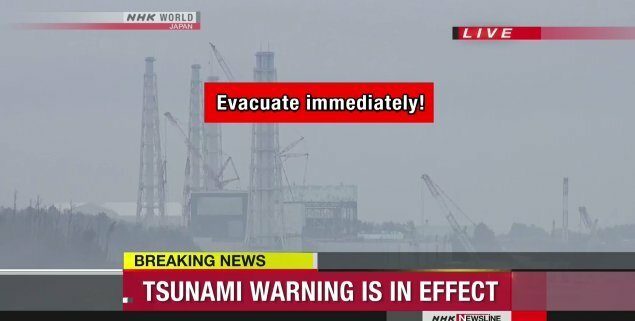 Estimated height for tsunami on Fukushima coast is 3 meters. People told to find higher ground. No threat to Washington. Fukushima nuke plants and Japan are still standing no worries. Tsunami warning got the grade down now. Originally reported as 7.3 at 10 km deep ended up being a 7.4 at 20 + km deep. Several tsunamis hit, varying from 30cm to 1m 40cm. It was said that #3 At Fukushima, spent fuel pool, cooling stopped. 90 min later restarted this was from live coverage. The temp went up in the pool during the time it was off. Thanks for posting the live feed & info kande. Watching the cool and calm Japanese evacuating to the top of the hill was interesting. 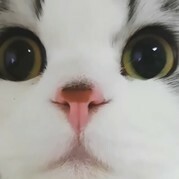 Just another day in Japan. I will tell you, a 7.5 at 28 miles deep I experienced, did not find me that cool, calm and collected! Dutchsinse is saying the people in Japan shouldn't be so lax since the kind of thing that happened in 2011 could happen again. A fairly big earthquake, then a few days later a huge, destructive tsunami-wielding one. So, I hope the people stay on their toes. About 2 weeks before the 7.2 on March 9th in Japan, and two days before the 9.1 on March 11, 2011. Now New Zealand had a 7.8 on Nov. 13, 2016, 8 days before this 7.4 in Japan. Dutchsince is most likely right on, considering past history, although I sure hope not. Hope the people of Japan stay alert and safe.